The Information Security Office believes that open communication and sharing information to promote strong awareness of information security issues is essential to all students, faculty, and staff. 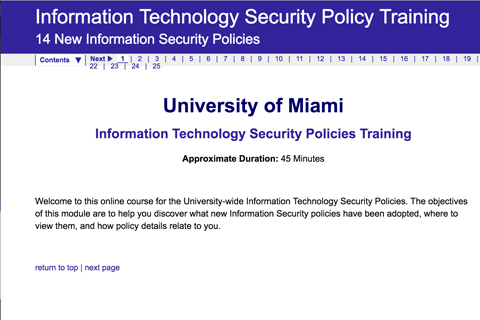 The Information Security Office coordinates awareness materials and activities, and offers training. 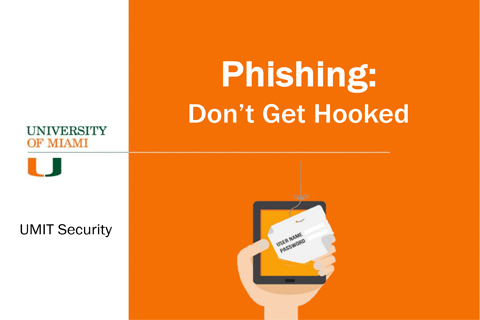 Awareness helps people understand why security is important and provides information on simple things they can do to help themselves and the university. 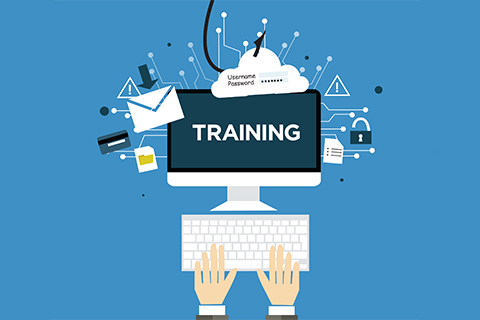 Training provides more detailed information on a variety of security subjects, often including step-by-step instructions on what to do when faced with various security decisions or guidance on how to configure a device or account for proper security. 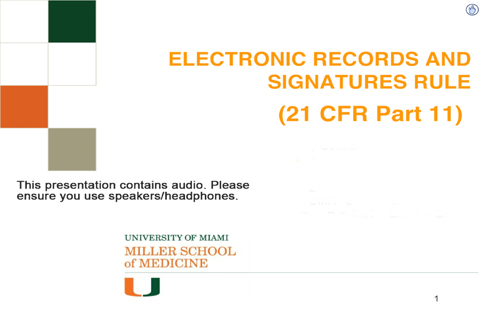 As a member of the University of Miami community, it is critical to understand that information security is not only important for protecting your own data but also that of the University. Taking safe and smart security measures needs to be part of your everyday life, on and off campus. Please visit our Stay Safe section for more details.